Uber’s 2019 deadline to undertake an IPO is on the cards, after a three-year wait to appoint a CFO is complete. Uber has filled its CFO role after a three-year hiatus, in a move that has pushed forward the possibility of the taxi-booking business undertaking an initial public offering (IPO). 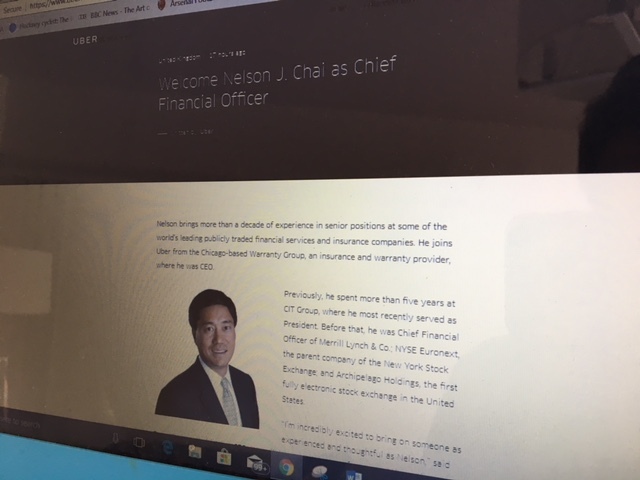 Nelson Chai, who has held several senior financial roles in publicly listed financial services and insurance companies, joins the business. He was previously CEO of Chicago-based Warranty Group. Previous CFO Brent Callinicos left Uber in 2015, while its ongoing top finance professional Prabir Adarkar left in July to join DoorDash as CFO. Khosrowshahi has called 2019 the year in which Uber will go public. He has previously stated that “we have all of the disadvantages of being a public company, as far as the spotlight is on us, without any of the advantages of being a public company”, reported CNN Tech. 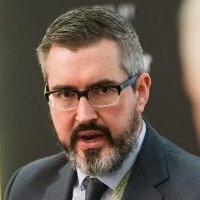 He joined the company as CEO in 2017. If an IPO is not achieved then a transfer restriction on shares will be lifted, Reuters reported. The business has faced a number of governance and reputational issues, losing its London trading licence for “a lack of corporate responsibility” last Autumn, before regaining it in June. Uber’s net revenue was $2.8bn (£2.2bn) in Q2 2018, but has made losses in a number of quarters in the past 18 months. Chai currently serves on the boards of Thermo Fisher Scientific, the University of Pennsylvania School of Arts and Sciences, and the US Fund for UNICEF. Legal and regulatory roundup from around the UK and Europe: EU tax, tightened money laundering legislation, gender pay gap regulation in the UK, review of governance codes in Germany and the UK, and Belgian FSMA guidelines. Ken Olisa is set to lead African digital payments firm Interswitch, as it allegedly considers an IPO, while Meg Whitman is to leave HPE after six years.